There’s room for one more, three’s never a crowd. I don’t know about the rest of you, but I have a hard time saying no to a three-way. Even if that just means three-sided tofu treats, I’m down. So many good things come in threes. Comedy gold is done in trifecta. 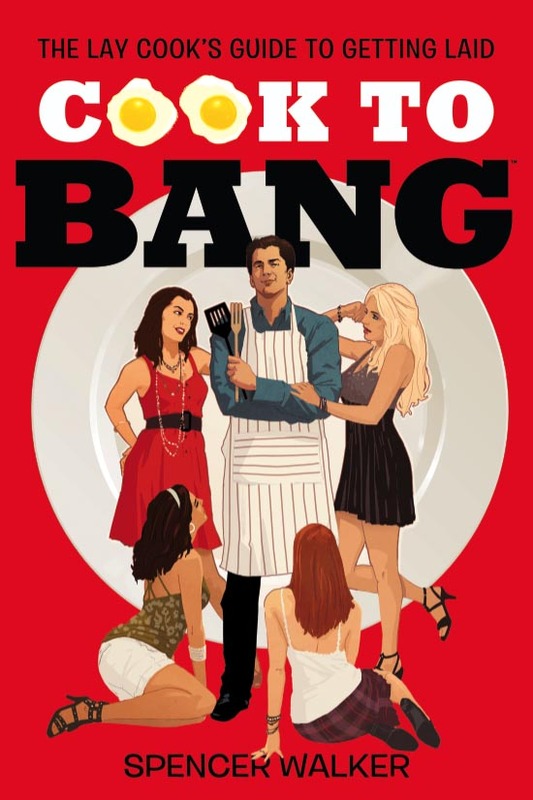 My favorite nights of carnal connections involved a third party. Clearly three is company and never a crowd. And what better way to ignite such an evening of exploration and fornication than with some edible treats? 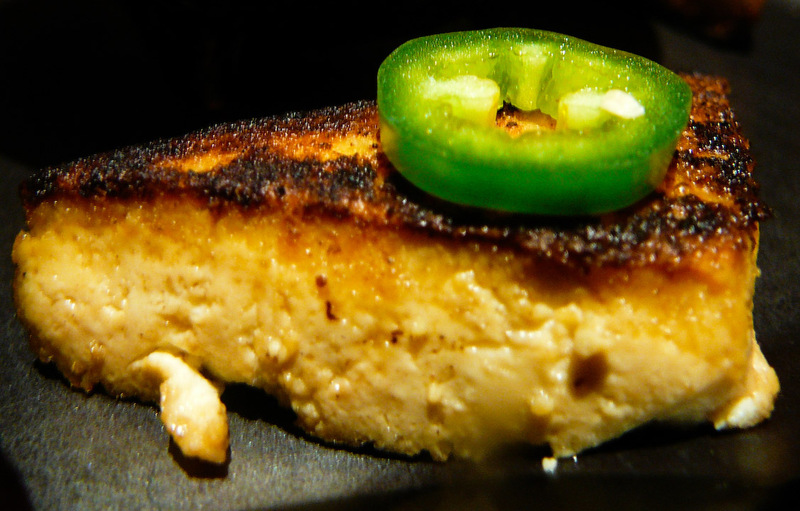 These tofu triangles are classy, sassy and won’t leave you gassy. Plus you can appeal to the free loving hippie in all of us by serving tofu. A little curiosity never hurt no one no how! First slice up the tofu into 1-inch thick triangles. Marinate them in a quarter of the limejuice and fish sauce, and leave in the fridge (approx 20 min). 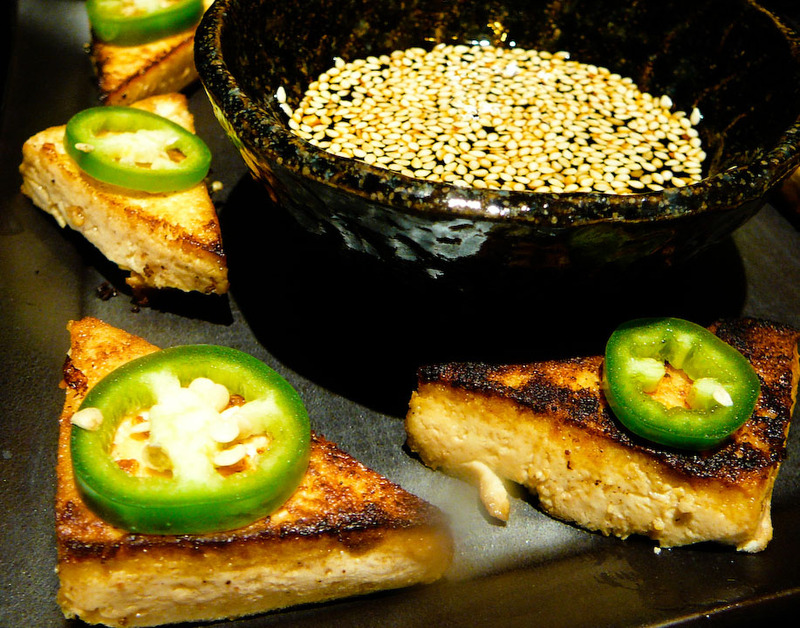 Heat up the vegetable oil on high heat and then add the marinated tofu triangle. Cook each side until it brows and becomes crispy (4 min per side), flipping once using tongs. 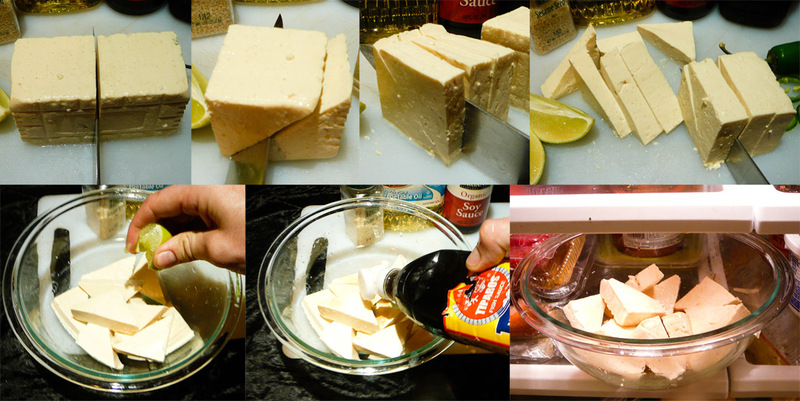 Remove fried tofu from oil and pat dry with paper towels. Create the dipping sauce by combining the soy sauce, remaining limejuice and sesame seeds. 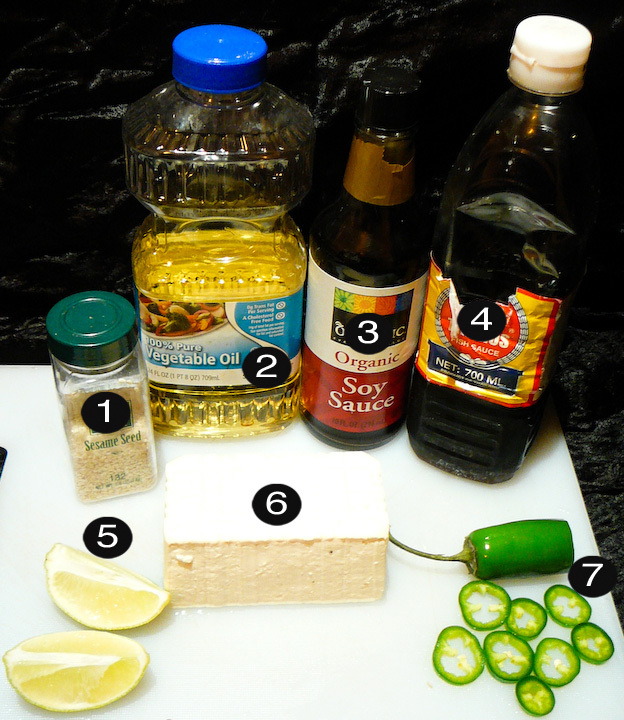 Arranged the tofu artfully on the plate and place a slice of jalapeño on top of each. Serve the FINGER FOOD FOREPLAY immediately so the crispy tofu texture is as warm as the tongue your date’s about to taste.